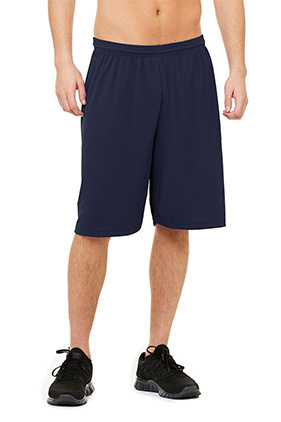 100% polyester micro-mesh unisex mesh short. Tear away label. Dry wicking. Antimicrobial. No pockets. 9 inseam.